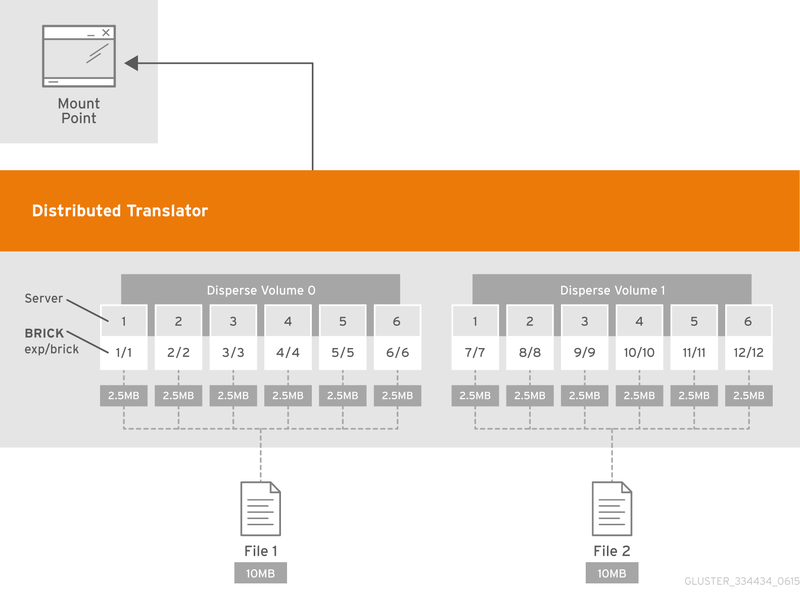 Distributed dispersed volume configuration is supported only on JBOD storage. For more information, see Section 21.1.2, “JBOD”. Red Hat recommends you to review the Distributed Dispersed Volume configuration recommendations explained in Section 11.14, “Recommended Configurations - Dispersed Volume” before creating the Distributed Dispersed volume. The above example is illustrated in Figure 5.7, “Illustration of a Dispersed Volume” . In the illustration and example, you are creating 12 bricks from 6 servers.